This is one of those surprise recipes that really packs a lot of flavor. If you can’t find tamarind paste, you can omit, but it really adds a great dimension to recipes. Look in Asian markets for pure tamarind with no added chemicals. Of course and as always, double the recipe and make a terrific soup with the extra head of cauliflower simply by adding a handful of cilantro and 4 cups of stock. Preheat oven to 350˚. Place all the ingredients except the cauliflower in a food processor and blend until smooth. In a bowl, pour the spice mixture over the cauliflower and toss with you hands to coat well and distribute over the florets . 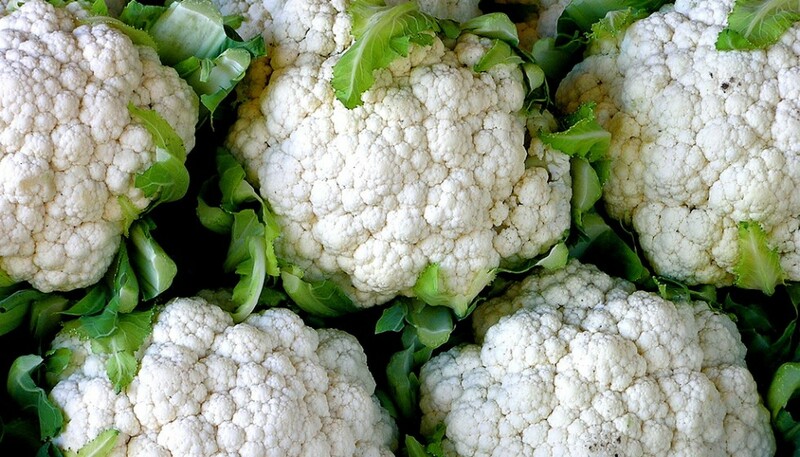 Spread the cauliflower evenly over a sheet pan and roast for 20-25 minutes.